Learn more about how the firm can assist you. 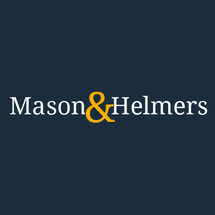 Contact Mason & Helmers, in St. Paul, Minnesota. From wills and probate litigation to business succession issues, the firm's lawyers help clients in the Minneapolis-St. Paul area and beyond. Call 651-323-2548 or 877-389-5533 (toll free) to set up an appointment. Spanish- and German-speaking clients are encouraged to call.